how do we push ourselves positively? There's quite a market when it comes to self-improvement. Some methods are fads (think juicing and the Thigh Master), others have proven to be effective (think meditating and de-cluttering). So is all this worth it? And if you're going to focus on self-improvement, which method would you try? 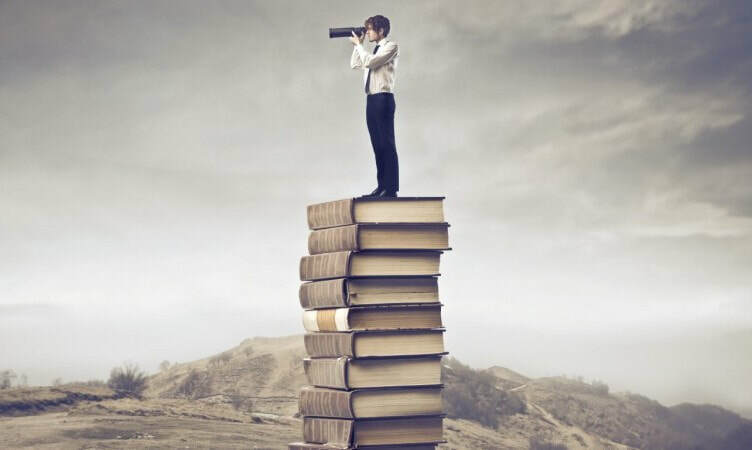 As everyone knows, the quest for self-improvement begins by standing on a gigantic pile of books and looking into the distance through a telescope. How do we present information effectively? Students will understand that solid research includes a variety of sources and perspectives. Students will understand that an effective presentation capitalizes on clear organization and relevant information.